Isle of Man business, PwC welcomes 10 students into their professional training programme. Senior Partner Ian Clague and Senior HR Manager Samantha Pemberton with some of the PwC class of 2018. 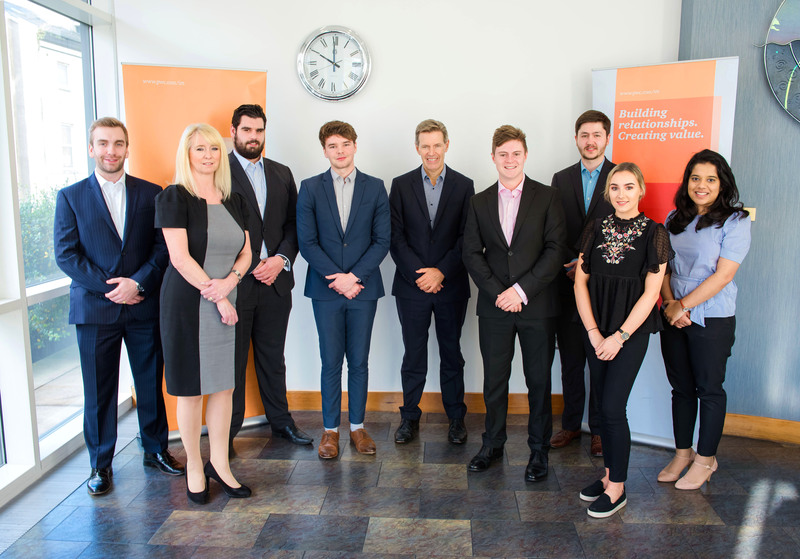 A group of 10 students has joined the team at PwC Isle of Man through the company’s highly regarded professional training programme. The firm has welcomed a mix of graduates and school leavers into the roles, recruiting six new assurance trainees, three trainee actuaries and one advisory trainee. They come from a range of academic backgrounds, including graduates in business economics, economics and management, chemistry and history with accounting and finance. The team has undergone an induction period before starting ‘hands-on’ work and studying towards professional accountancy and actuarial qualifications. Ian Clague, Senior Partner with PwC Isle of Man, said: ‘Our people are an essential asset in developing an agile and adaptable workforce, so it is important to bring together individuals of all backgrounds and life experiences and embrace diverse talent, views and thinking. ‘This is just the start of a journey of development which will see them gain a professional qualification, work as a team to help boost the performance of organisations and tackle business issues and complex commercial challenges. ‘Studying alongside work is tough but the firm fully supports students through these years to achieve success in different lines of service, including assurance, advisory, tax and our actuarial practice which has grown significantly in recent years. 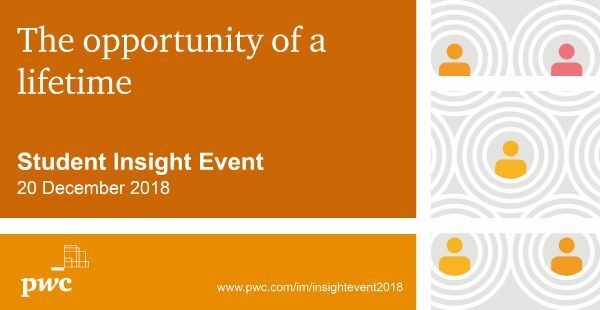 Career opportunities at PwC Isle of Man will be the focus of the firm’s annual Student Insight Event on Thursday, 20 December. The event takes place at the company’s Isle of Man headquarters at Sixty Circular Road, Douglas, from 2pm until 4pm. It offers school and college leavers, undergraduates and graduates the chance to find out what opportunities and training are available at PwC Isle of Man, along with openings via the company’s summer internship programme and also for qualified individuals looking for senior associate and manager roles. Senior HR Manager Samantha Pemberton explained: ‘This is an ideal opportunity to find out about the career paths PwC offers, meet our people, talk to us, hear about our trainees experiences since joining the firm and apply to join us in 2019.